Black Onyx Faceted Tumbled Stone Necklace. It is a well-known fact that crystals and gemstones have healing powers since ancient times. These are scientifically proved, and different stones are associated with different benefits. Agate Export brings forward to you all the stones and crystals with which you can reap different benefits. The renowned and reputed company offers some of the top quality hand-picked stones to cater to the diverse requirements of clients. 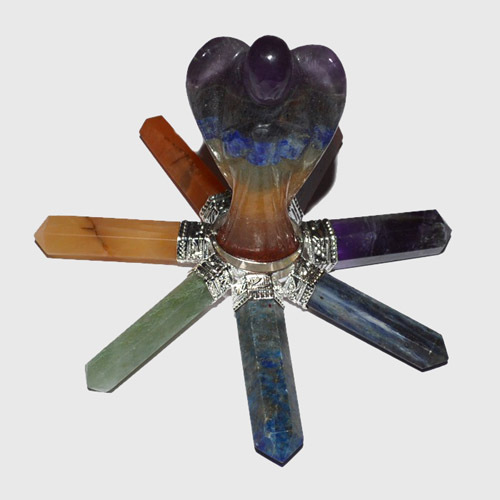 The Crystal Healing Tools available here are indeed unique, and they are known to serve a great purpose. Most of these are made in pyramid styles and are meant to offer complete relaxation to the mind and body. These are also largely used in physiotherapy. Copyright 2018 agateexport.co.in All Rights Reserved.